It is already happening ! Many seems to believe that Jesus Christ is to come back physically, but not so much in the scriptures support that contention. What we DO SEE, is that He is coming back strongly in Spirit, meeting his Elect ‘in the air’ (1 Thessalonians 4:17), in Spirit. Beyond that Jesus Christ will probably remain on the right hand side of the Father, judge the World and its peoples from there. There is no other rapture (before or after the Tribulations), other than this rapture of the human spirit, to ‘where he is’ (John 14:3), in His Kingdom, his Spiritual Kingdom. Call it His Kingdom of Conscience and/or Consciousness if you want. This is the Resurrection, of the invidual that have taken up their crosses and following Jesus Christ. Fantastic work done by this ONE FOR ISRAEL Ministry..
WOW – Israelis are sharing Jesus with other Israei Jews & Arabs!!! Easter time. A great time of the year, when Jesus Christ is very near us. Some claim it is a pagan holiday for Ishtar, but in Norway we hijacked the former pagan days from the pagans 1000 years ago, and filled the pagan days with Christian content. That have been working excellent for 1000 years. Beware of starting filling it with Jewish content in our days.. I see plenty Hebrew Roots movement stuff in circulation, making us Jews by all starting to calling it Passover, but it is not the name of the days that make it, it is the content.. I keep it as it has been here for 1000 years, have worked excellent, so why change it ? Passover. Eastern. Never mind the name. Content is King. Easter and Christ Mass every day all year round is my motto, especially on former pagan days, remembering Jesus Christ, ..
After all, the Worlds evils and miseries can ONLY be solved by recognizing the root cause of the evils and miseries that befalls the World. To expose the Synagogue of Satan (Rev. 2.9 & 3.9) amongst the Jews is one of them, almost all of the Worlds evils and misery for the ‘lesser brethren’ of our World, can be solved to take the occult and satanic Rabbies in the times of Jesus called the Pharisees from the Babylonian Talmud and Kaballah of the mystery religion called iniquity down from their throne of power over all nations leadership. Noahide Laws in the USA: H. J. RES. 104. JOINT RESOLUTION. To designate March 26, 1991, as `Education Day, U.S.A.’. Since the Noiahide Laws was put in Law as foundation for the USA by George Bush in 1991, «we are seeing a massive amount of wickedness growing by leaps and bounds«. Before this happens that we expose evil for what it is, no problems can be solved, because a problem can only be solved by taking the root cause. Solve the things causing the disease, not by healing the symptoms only. There is ONE HOPE, the hope for the extreme resurrection of the Sprit og God, also called the Spirit of Christ, and that happens, even in Israel and Tel Aviv (The City of Sins) now on a grand scale. When the dark is becoming heavier in the World on the brink of World War 3, the intensity of the Light of Jesus Christ will also intensify in the lives of individuals. The Light of Jesus Christ not to be mistaken with the light of Lucifer, the Serpent deciever. This two spirits have a competition going who is to be the light of this World, there is war in the heavenly spheres, but we know who will win by reading and studying the Bible. 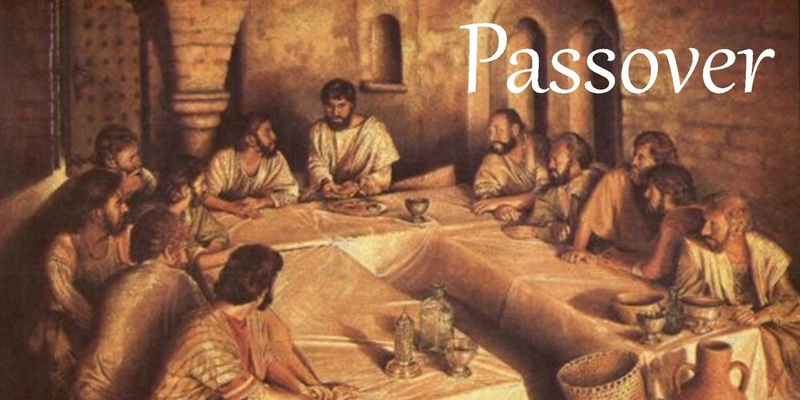 Jesus Christ is the Passover Lamb. 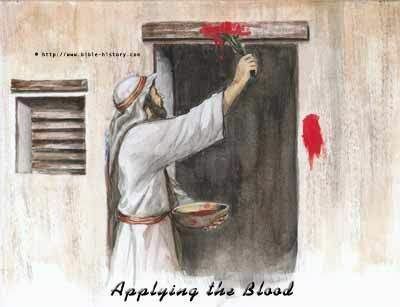 The only valid blood to put on our doorposts. Ended the barbaric slaying of animals in the Temple by the Rabbies as atonement for sins for all time. NOT to be re-built or re-instituted. Jesus is not the ‘Jewish Messiah’ exclusively, but the Messiah for all.. This Jews became Christians, with the Spirit of Christ lives in them, as Paul says: «Christ lives in me» (Galatians 2:20). We have been ONE in Jesus Christ, of ONE Spirit, of One seed of the Righteous Abraham. «I am crucified with Christ: nevertheless I live; yet not I, but Christ liveth in me: and the life which I now live in the flesh I live by the faith of the Son of God, who loved me, and gave himself for me.» – They have been crucified with Christ, in opposition to their families, their Rabbies, they have been cast out of their families, for Christ. The Glory of Christ have done this to this Jews. “I was shocked! For two thousand years they are lying to my people!” – Watch the story of Suzie, an Israeli Jewish girl who came to believe Yeshua (Jesus) is the Messiah! Growing up Jewish, evil demonic forces took over me, but Jesus miraculously healed me! WOW! A Jewish lawyer and a leader in her synagogue who turned to Jesus in a supernatural way! Hundreds of testimonies more of the Holy Spirit supernatural touching hundreds of Jews becoming Christians here. Strong stories.